JASCers Kei Koizumi, JASC 42 & 43 (1990 & 1991) and Micah Green, JASC 41 & 42 (1989 & 1990) reunite at the event. 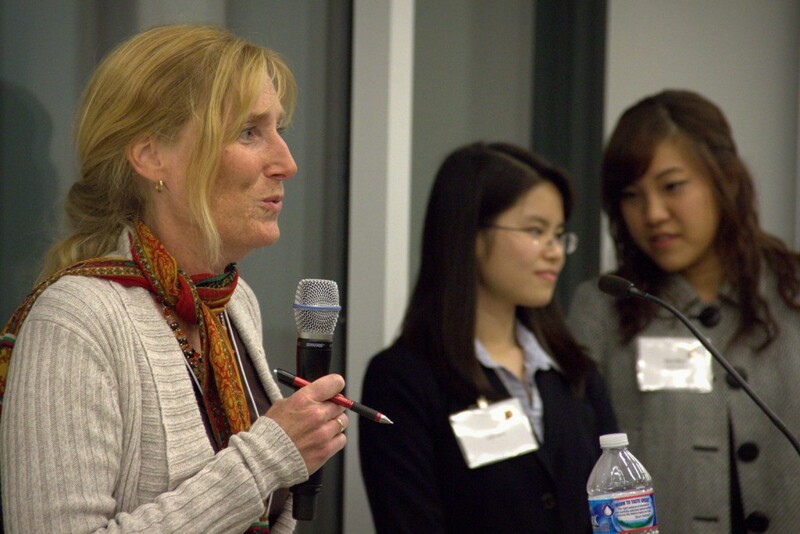 On November 21, 2013, International Student Conferences (ISC) held the Thanks For Giving Fundraiser in Georgetown, Washington, D.C. The event was well attended by alumni of JASC and KASC and supporters of both programs. 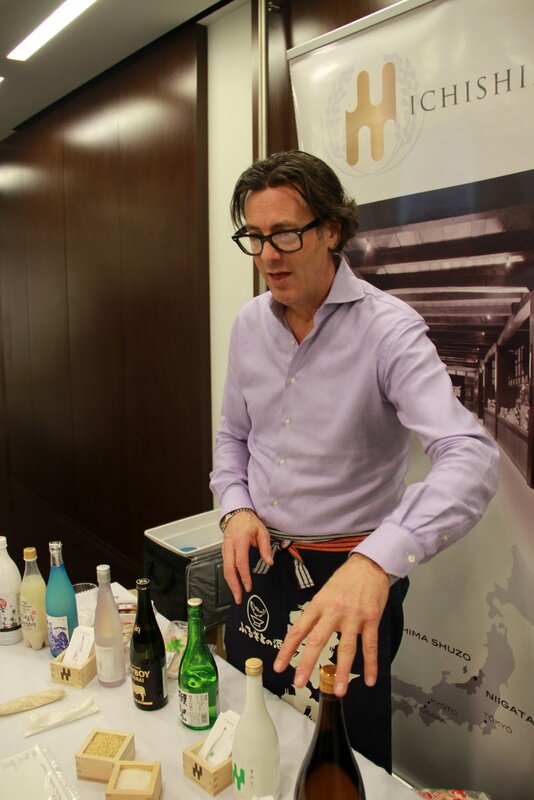 One of the highlights of the evening was a Japanese sake and Korean makkoli tasting provided by Michael J. Simpkin of MJS Sake Selections. Sake Sommelier Michael J. Simkin explains the origin and taste of the sake and makkoli selection. Jazz music was also provided throughout the evening by Superior Cling. More about the band is available at https://www.facebook.com/SuperiorCling. Addresses were given by Kristy Holch, JASC 38 (1986) and Chairman of the ISC Board of Directors, Yuuki Shinomiya, ISC Executive Director, Anna Zeng, JASC 66 (2014) AEC Chair, Nae Won, KASC 7 (2014) KEC Chair, and Minister Ohtaka of the Japanese Embassy in Washington. Kristy Holch, JASC 38 (1986) and Chairman of the ISC Board of Directors, addresses the audience. Minister Ohtaka gives a toast to JASC and KASC. More pictures from the event are available on the JASC Flickr page. 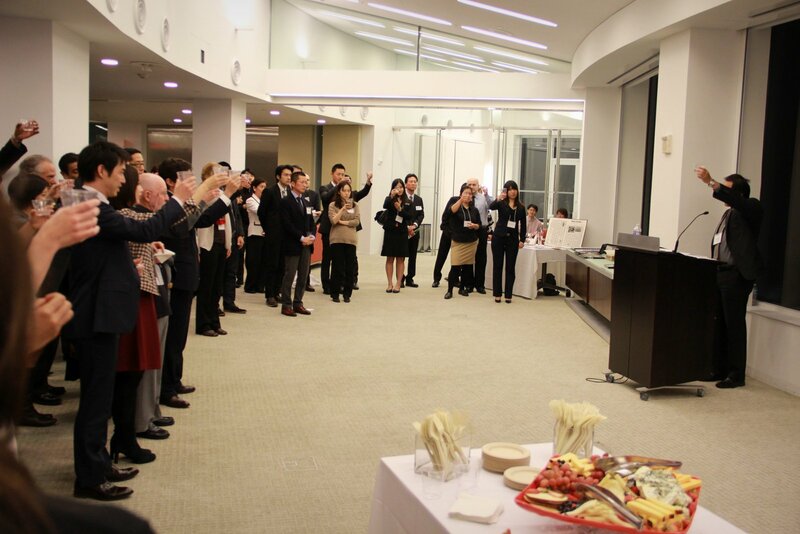 ISC hopes to host many more events in 2014 to commemorate the 80th anniversary of JASC and the establishment of an ISC presence in Korea. Willamarie Moore (JASC 40, 41, 42) has published two Children’s books about Japan, Japanese Traditions: Rice Cakes, Cherry Blossoms and Matsuri and All About Japan: Stories, Song, Crafts and More. 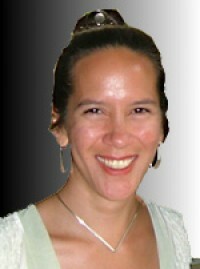 Moore lived and worked in Japan for several years, and she is currently the Head of School Programs and Teacher Resources at the Museum of Fine Arts, Boston. Her Amazon. com author page was created by Elissa Leif (JASC 39, 40, 42). They met as tablemates of the 40th JASC, and they have continued their friendship! 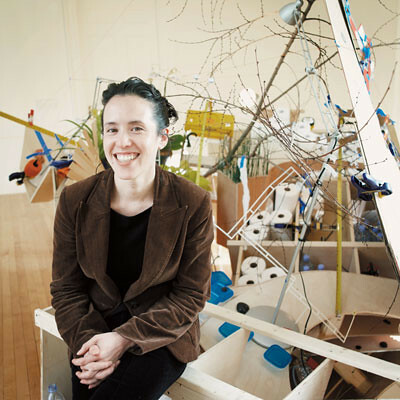 Sarah Sze (JASC 41 & 42) attended JASC while a student at Yale University. She has since earned her MFA from the School of Visual Arts in New York City and has exhibited her work in solo shows in London, Paris, and throughout the U.S. In 2003, she received a MacArthur Fellowship. Through March 25, 2012, Sarah is exhibiting her work at the Asia Society.